The Perth District Junior Football Umpires Association (DDFUA) is part of the AFL Green Shirt and Mentor Umpire Program, which assists first year and new umpires adapt to the role with the help of an experienced umpire. The AFL Green Shirt Program is an umpire education and development program that aims to use experienced umpires to mentor new and inexperienced umpires . Under this program new and inexperienced umpires wear a green coloured shirt to signify that they are learning their craft and are being supported by a mentor. 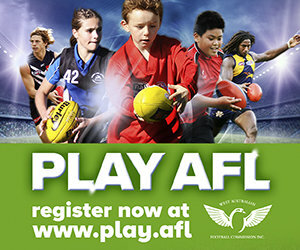 The AFL Mentor Umpire Program is an initiative of AFL Game Development aimed at improving the recruitment, retention and development of beginning or learning umpires in under-age, school, local or community-based football competitions. The AFL National Umpiring Accreditation Scheme is a training package for Australian Football umpires consisting of three tiers for field umpires and two tiers for both boundary and goal umpires. The course is designed to introduce umpires to a range of modules and units to assist in the gaining of the knowledge and skills required to perform the tasks associated with umpiring Australian Football. Under the National Umpiring Accreditation Scheme umpires are provided with the opportunity to acquire knowledge related to each discipline of umpiring. Umpire coaches will conduct coaching sessions that are interactive and practical with a clear focus on an individualised approach to the development of umpiring skills in the three disciplines of field, boundary and goal umpiring. Umpires will be able to be assessed performing the skills associated with any of the umpiring disciplines. Assessment of the umpires learning and development will be undertaken by a variety of methods, mainly observations and demonstrations. The majority of the assessment will be done under match conditions, with some during coaching sessions and on the training track. One of the most important aspects of the program in the keeping of an umpires diary which is provided as part of the course. Umpires will record experiences about their umpiring in the diary and discuss these experiences with their coaches and mentors as they progress through the course. In completing this course umpires will not only benefit by gaining the knowledge and skills necessary to perform the role of the umpire, but also by increasing their confidence and personal development which will enable them to progress to the next stage of their umpiring careers. If you are keen to become an umpire, the PDJFUA wants you! It is a rewarding and fun way to play a key role in our great game and make some money along the way.